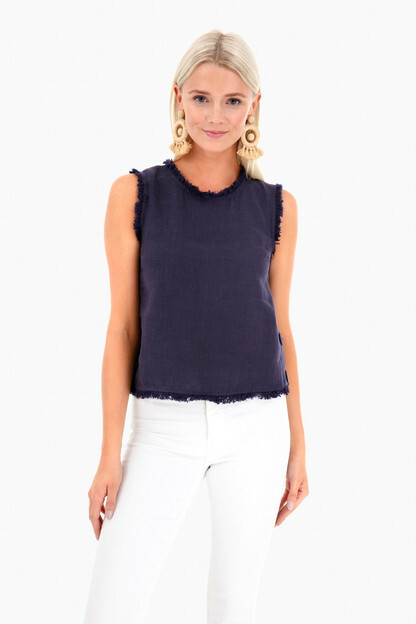 Our favorite Tuckernuck top is back in a striking navy color that is perfect for all seasons. 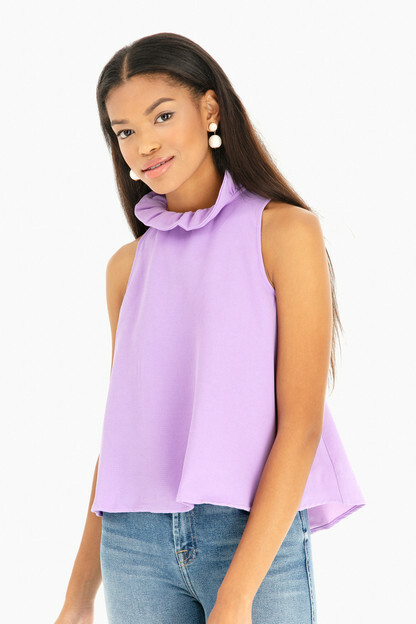 This high neck ruffle blouse is the perfect combination of classic and fun. 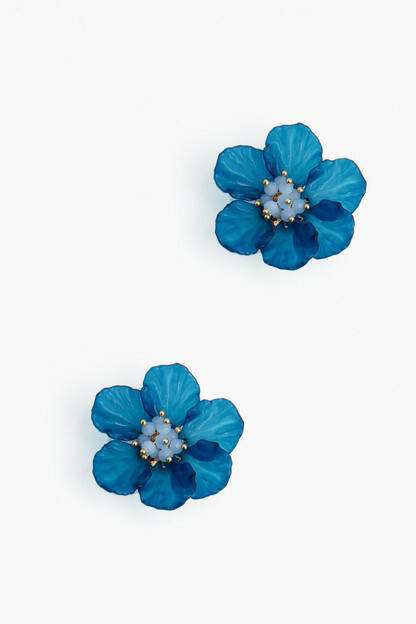 It's traditional design is perfect for the office or a night out! I love this top! I was concerned it’d be too short but it’s a great length. 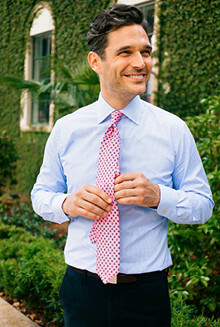 It’s on trend but still classic and can be dressed up or down. It’s cute with skinny jeans or tucked into a pencil skirt. A new favorite! So classy. One of my new go to blouses! Love this top! It is sometimes hard to find white summer tops that are not see-through or flimsy. This top is neither! It has the perfect amount of cute! 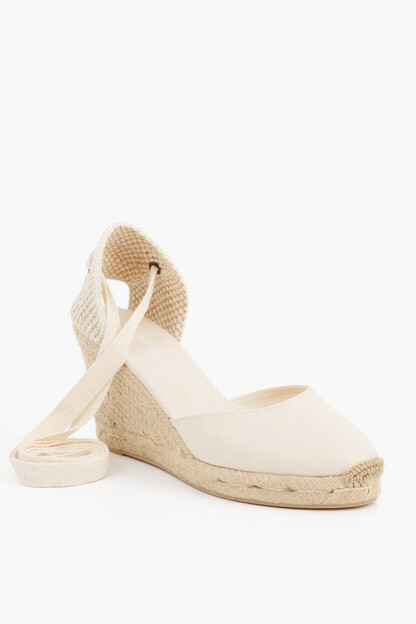 Pair it with a casual pair of pants for a day of shopping or add some jewelry and heels for a summer night out. Love this! Looks great with black waxed jeans. The only thing I would change is the length...it is a little shorter than shirts I typically wear. Love this top. Goes with so much, and love the bow in the back. Only wish I lived somewhere warmer so could wear more often! Great holiday shirt that you can also wear year round! Like others mentioned, it is a bit short waisted, but with high waist pants currently in style it's not an issue. I have a rather large bust (34DD) and got the large to accommodate, but I think a medium would have fit fine. Though I am glad for the extra length in the torso! Nice thick fabric that is not at all see through and looks more expensive than it is. The neckline is super flattering and the bow is an extra plus! 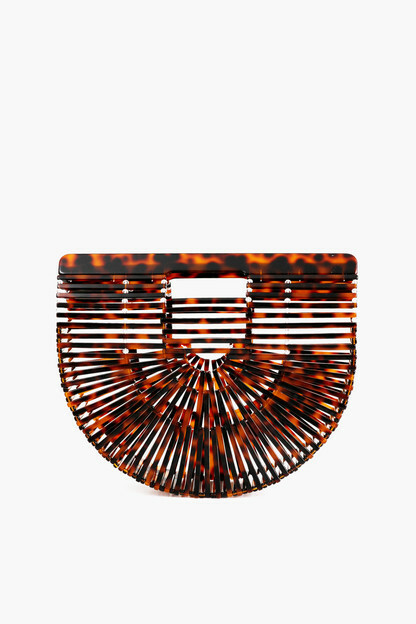 Very cute - material is great - heavy enough where it is not see through. Perfect on top of black pants, and holiday! I would like to get it in black too. It's always so hard to find a good white sleeveless shirt but a fun one is even harder. This one is both and at a great price. I generally wear a size 4 and am 5-5. I ordered the small. Maybe I could have gone a little smaller it is the right torso length grazing my belt but it definitely floats/swings out a bit more in the belly than I expected, but surprisingly does not add pounds. It's an appropriately (not oddly) thick material and holds its shape well even after rolling it for a suitcase. Love this top! Fit is great and the length is perfect! 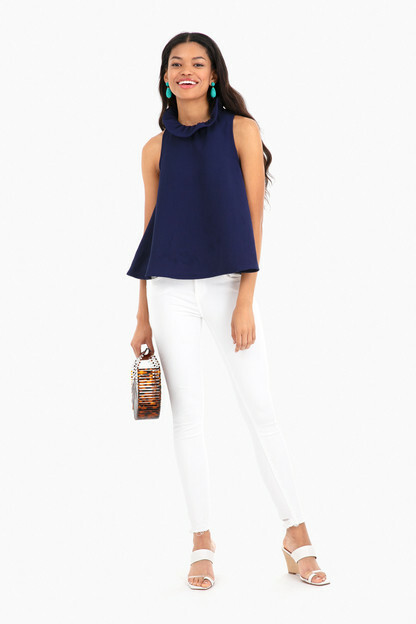 Usually pair with jeans and fun jewelry for date night, the ruffle collar adds some feminine flair! Perfect Fall & Winter Sleeveless Top! I purchased the Mason Blouse in white and I love it! 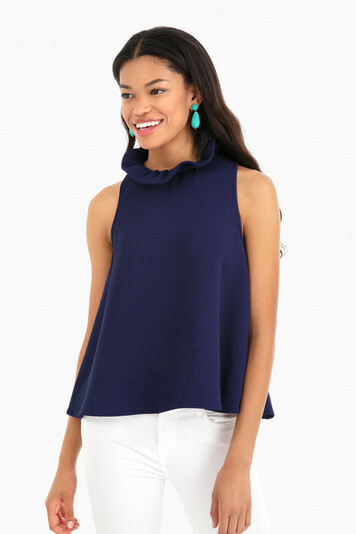 The ruffled collar adds a flare to a traditional high neckline allowing you to dress up or down this top. I am 5'3 and around 120lbs and purchased a size small. The arm opening does drop quite low, so I will have to wear this top with a no-show sticky bra. The fabric is easy to manage with a quick steam. 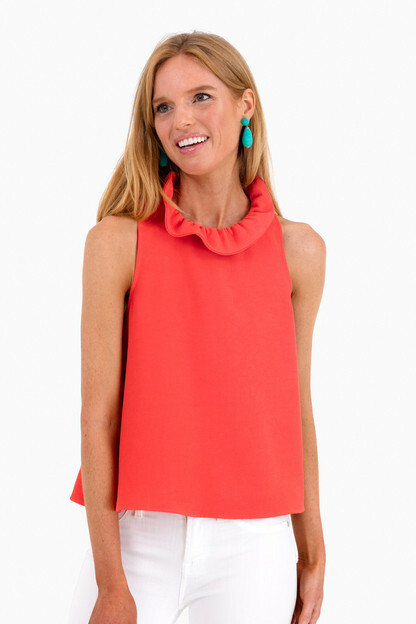 I love this top- the bow adds so much fun flare! I suggest sizing up because it runs a bit short. If you want it to hang longer, the size larger from what you typically are should be perfect! This top is super cute! I love the ruffle detailing around the neck, and it was true to size! 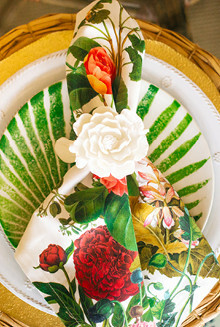 Can't wait to order something else from Tuckernuck! I am normally a medium, size 6-8 and this blouse fit true to size. If you have a long torso it might be a tad short. Super cute and flattering. I received so many compliments! Ordered this shirt in both black and white and I love it! Very simple and classy, I have only worn the white one once so far and received so many compliments. I'm 5'3 and I will have to say it does run little bit on the short side.